Meet Peyton Hadley. This is Peyton's senior year, as well as her fourth year on staff. She has worked on the Green Pride staff as a videojournalist for all four years. Her favorite thing to capture is Mr. Wildcat because it is different every year and it brings a sense of pride to DHS. When Peyton isn't filming for the Green Pride she is at a coffee shop hanging out with friends or editing her own video projects for her friends and family. 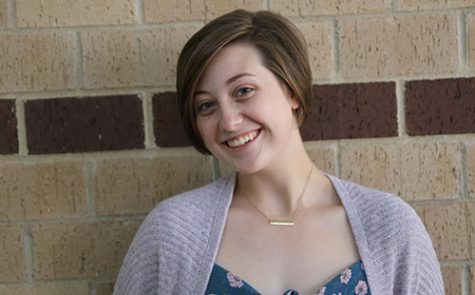 Besides Newspaper, Peyton is involved in A&M crew, NHS, Thespians, Principal's Council and takes AP courses at DHS. You can reach Peyton at [email protected].